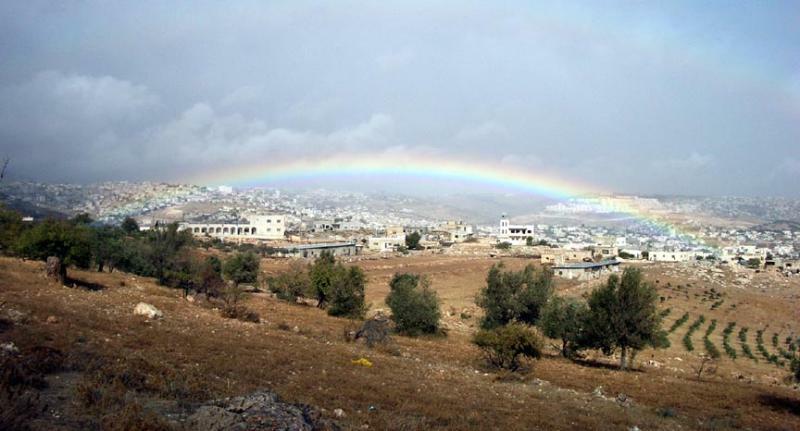 I took this picture of the rainbow over Bethlehem while filming the sheep scene for our David DVD. This rainbow hung over the countryside for several hours. It is one of those once-in-a-lifetime shots. Click on the image for bigger picture. The left end of the rainbow is over the Church of Nativity where Jesus was born. The right end of the rainbow is over Shepherd's Field where the angels appeared to the shepherds.